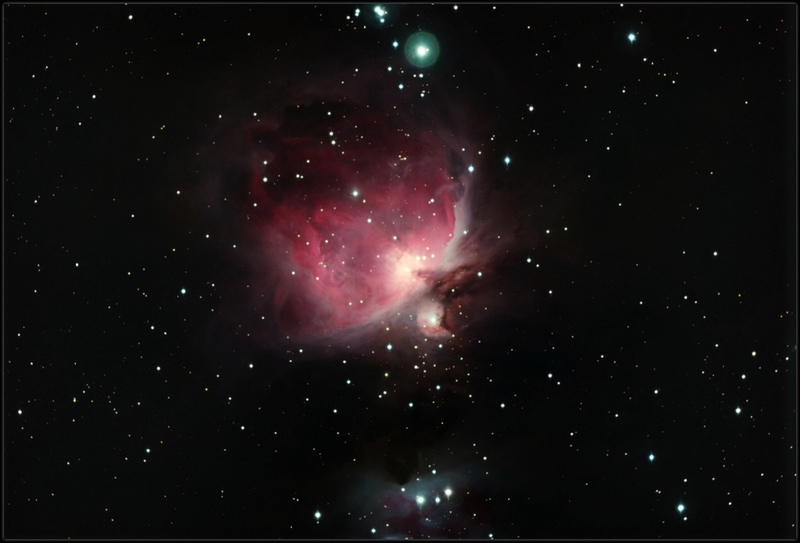 The Orion nebula is approx. 1600 light years from Earth. The turbulent stellar dust and gases are a birthplace for new stars. Image acquired using SBIG St-10XME camera with Astrodon filter set through modified Orion Express 80 telescope with William Optics Field Flattener III. 20 minutes each of Red, Green and Blue, 1x1 Binning.